Here at Calendar Lady Promotions we have 1000's of ways to help you get richer with cheaper advertising. Our Coasters with Logo come in various sizes and colours - Please call 01989 565281 to discuss your needs. Then all you have to do is give them away and your printed business details and company logo with always be noticed. 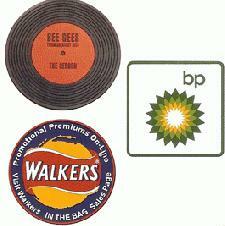 So promote your business details and company logo upon our Coasters with Logo and stay advertised. To find out more about The Coasters with Logo click here and fill in the contact form and we'll get straight back to you. Other promotional and personalised items besides our Coasters with Logo click here to view our entire range.